2017 was quite possibly my best year for travel to date. I didn’t know if I’d be able to top my travels in 2016. However, 2017…you’ve outdone yourself. Every year, it’s fun to look back on the adventures, the memories, and even the mishaps. In addition to 2016, I’ve recapped my travels in 2015 and 2014. For 2014, I recapped my travels in a series of Instagram photos. It’s really funny to look at how far this blog has come since then. A couple of my photos have a whopping 5 likes on them. Wow! Way back then, I’d have no idea how much this travel blog would become a part of my life. As this series of year in review blog posts have become an annual tradition, I’m happy to take a look back at the wonderful year that was 2017. I can’t believe that I went traveling for 11 out of 12 months. MAY: HUNTSVILLE, ALABAMA & WASHINGTON, D.C.
Where did you go in 2017? I want to hear all about your adventures! 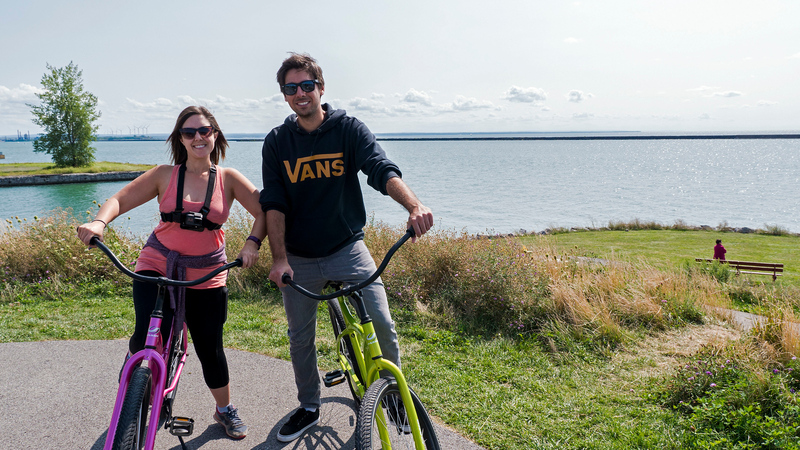 We have visited Quebec City on a couple of occasions in the past, but this city has a seemingly infinite amount of adventures. Justin and I checked off two bucket list items: sleeping in an ice hotel and experiencing Quebec’s Winter Carnival. The Hotel de Glace was a once in a lifetime experience. To prepare, you must listen and follow instructions. Make sure you bundle up appropriately before bedtime. Zip up your sleeping bag properly. Otherwise, live in the moment and realize that you’re sleeping on a bed of ice…inside walls of ice…inside a hotel made of ice! The Carnaval de Québec is a world famous festival that embraces winter completely. We played in the snow, drank Caribou (the beverage of Winter Carnival), and enjoyed the company of the beloved Winter Carnival mascot, Bonhomme. If you want to participate in winter activities like a true Canadian, zip up your parka, put on your toque, and head to the Carnaval de Québec. 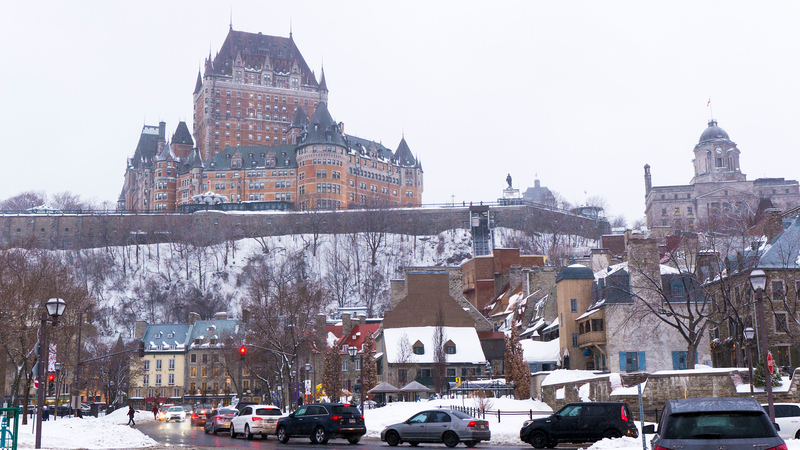 Check out our video of how we embraced winter in Quebec City. It was another chilly getaway to Canada’s capital, Ottawa. I went on a solo trip to visit friends, skate on the frozen Rideau Canal (a UNESCO World Heritage Site), and check out Winterlude. 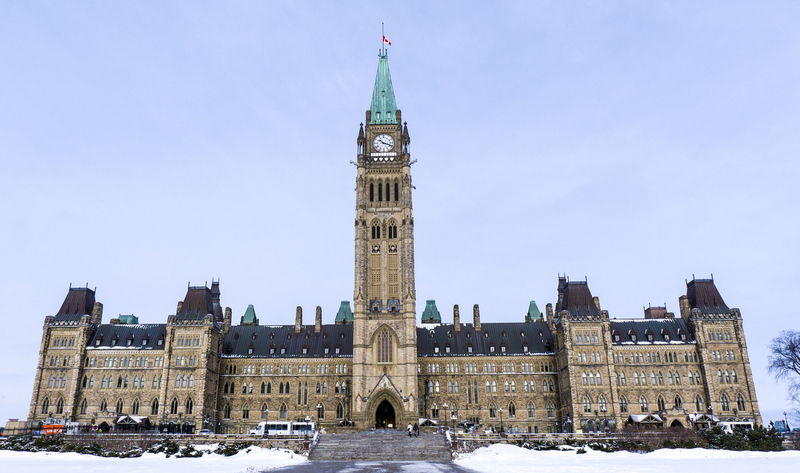 There was really no shortage of things to do in Ottawa, from viewing ice sculptures to drinking copious amounts of coffee. Other firsts: I checked into my very first Airbnb, went to the observation deck at the top of Parliament’s clock tower, and checked out Ottawa’s awesome retro arcade, House of Targ. March was the one month out of 2017 that I didn’t travel. 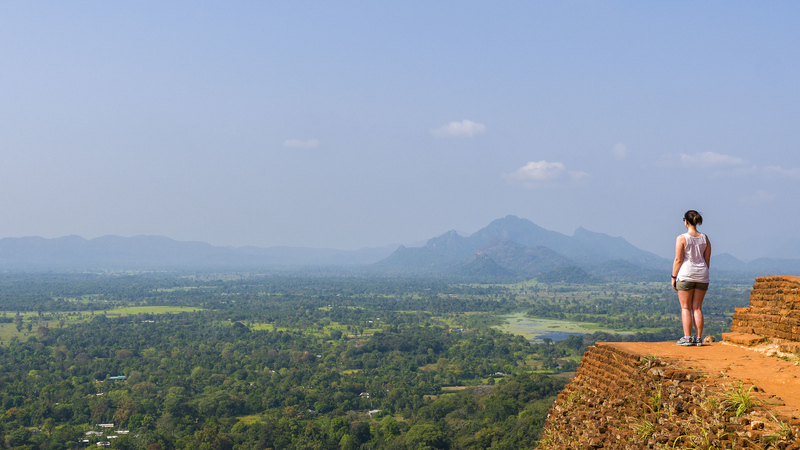 In April, I took a whirlwind trip to Sri Lanka with stopovers in London on the way there and back. In Sri Lanka, I stayed at Mahagedara Wellness Retreat in the middle of the jungle. This was a truly relaxing escape with a bit of adventure thrown into the mix. Every morning, I practiced yoga with our instructor from Nepal. 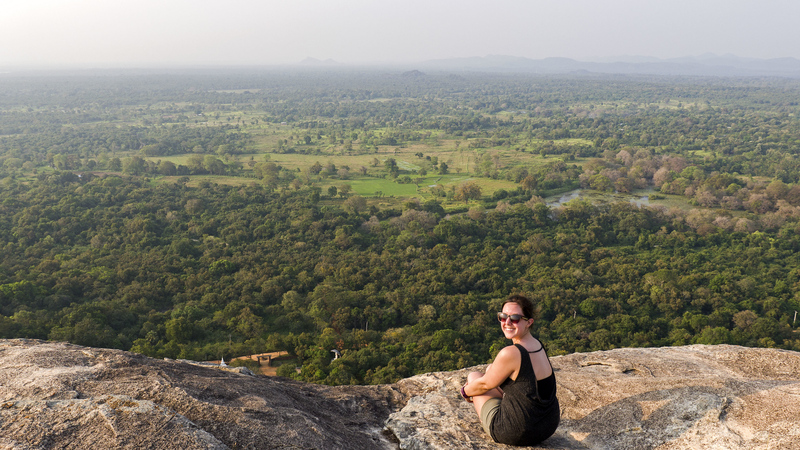 Then, I visited nearby attractions, such as Kaudulla National Park for an elephant safari or a hike to the top of Sigiriya Rock. Every afternoon, I indulged in spa treatments from a local Ayurvedic doctor. To top it all off, there were delicious vegan meals prepared using fresh ingredients from their garden. It was blissful. Don’t you love it when a layover allows you to explore a brand new place? I’d never been to London before. Just as I never expected to go to Sri Lanka at the beginning of the year, I had no idea I’d visit London during my travels in 2017. As I had about eight hours to explore, I booked a tour with Small Car Big City. 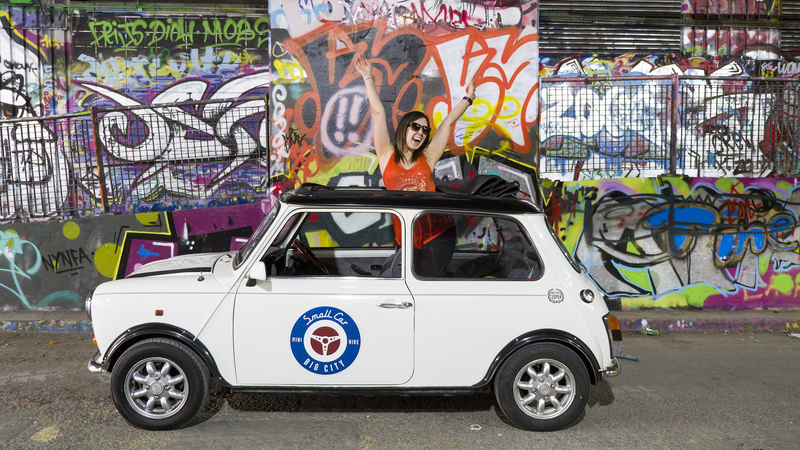 In a Mini Cooper, we were whisked to bustling markets and tunnels of street art. On the way home, I stayed in my first pod room at Yotel Heathrow Airport. 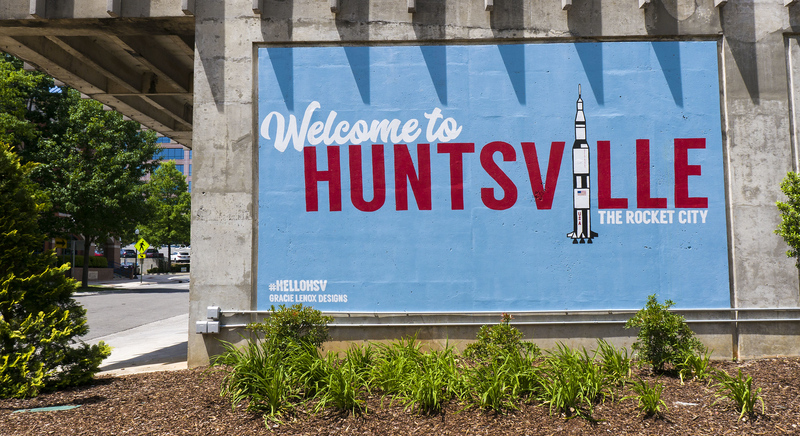 And the award for most unexpectedly awesome destination goes to…Huntsville, Alabama! I travelled to Hunstville for TBEX, the travel bloggers conference. I expected it to be a really fun time as I love meeting fellow bloggers and reconnecting with friends. What I didn’t expect was for Huntsville to be such a wonderful place to visit. The locals were so welcoming and I adored walking around town. Breweries, a thriving arts scene, and the Space and Rocket Center contribute to Huntsville being a truly unique and underrated destination. While I haven’t had the opportunity to write much about my jaunt to D.C., I loved visiting the museums, monuments, and wandering around the neighbourhoods. I’ll get around to writing about it sometime soon! I stayed at the Pod DC hotel, which was the perfect place to call home. I adore travelling in June. Not only is the weather generally fabulous, but I’m doing what I love most on my birthday. For our European travels in 2017, Justin and I checked out four new countries: Czech Republic, Austria, Germany, and Netherlands (for a couple of days in Amsterdam). While it’s difficult to summarize two weeks and four countries in a short paragraph, we fell in love with the big cities and small towns alike. 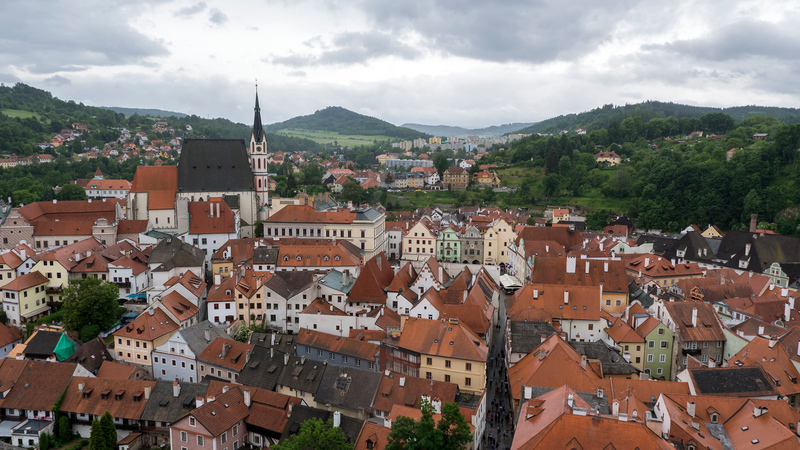 From Prague to Cesky Krumlov and Berlin to Bamberg, we split our time evenly between busy cities and quiet villages. We even rented a car on my birthday and drove to tiny Austrian towns near Salzburg, after spending a couple of days there. Justin and I plan one larger trip together every year. We’ve done three weeks in Italy, two weeks in Iceland, and now two weeks in central Europe. Which trip did I love the most? Don’t make me choose! While I’m still writing about our journeys to these places, I’ve pieced together a few travel memories in the form of blog posts for you to read. Justin and I flew to Mont Tremblant, a small mountain town and resort in Quebec. Typically known for winter sports, Tremblant has a vast array of summer activities, too. We enjoyed staying on the resort during the International Blues Festival. Music, ziplining adventures, helicopter rides, and impressive mountain views await! This video that Justin edited together perfectly demonstrates our weekend getaway at Tremblant. 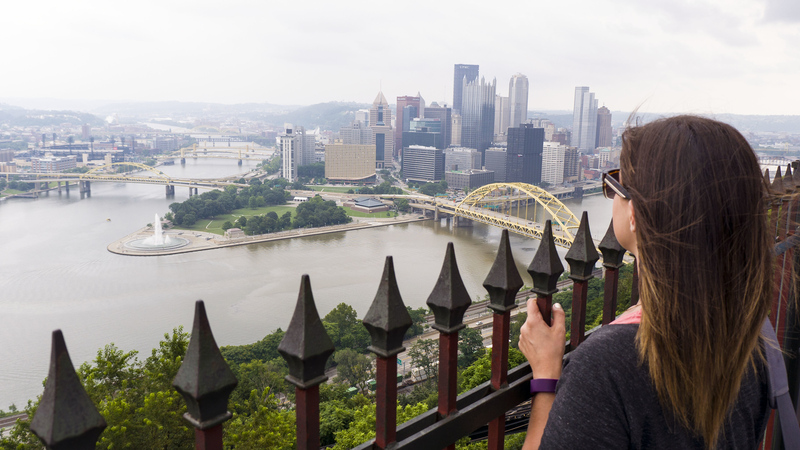 At the end of July, I visited Pittsburgh, Pennsylvania for a couple of days to eat, drink, and be amazed. There are so many reasons to add Pittsburgh to your travel bucket list, including a craft beer and cocktail scene and intriguing architecture. This formerly industrial city has truly transformed. Oh, and I got to go there with my awesome travel buddy, Lindsay! August was indeed the month of road trips. 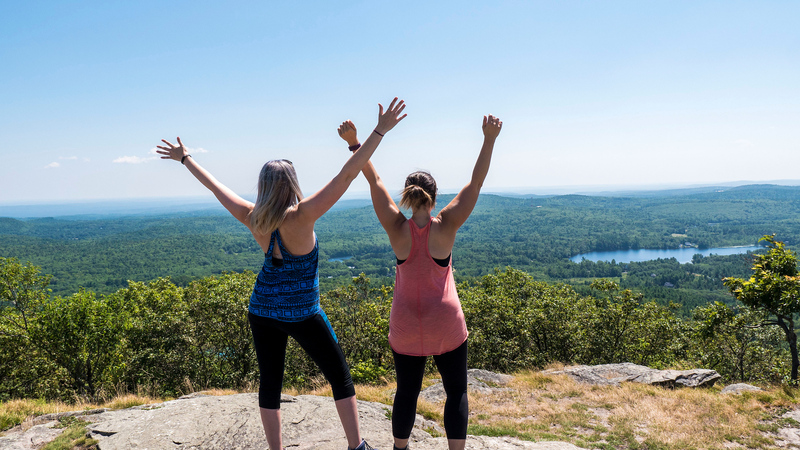 Lindsay and I continued our summer adventures by driving from Ontario and New York to Massachusetts. We journeyed all the way across the state: from Hampshire County in the west, to Johnny Appleseed Country in the middle, and finally to Boston in the east. It was another US state to check off my list, and I’m glad I got to spend nearly a full week checking it out. The small town charm of Northampton was a delight, with its cute downtown and surrounding hiking trails. From waterfalls to breweries, Lindsay and I loved everywhere we set foot. On the way home from Boston, we had to loop back around eastern Ontario to come home. Lindsay and I took an extra couple of days to check out Lanark County in Ontario’s Highlands. We were drawn in by quaint farmer’s markets, local festivals, and even a museum devoted to the art of woven basketry. ?We were also spoiled by our stay at Circa 1894, a B&B that doubles as a day spa. At the end of August, Justin and I didn’t have to travel far to visit the city of Buffalo, New York. Buffalo was perhaps the most surprising destination of all this year, in the best way possible, of course! We didn’t know what to expect from this city. People from Ontario generally flock to Buffalo for outlet shopping and hockey games. However, Buffalo has so much to offer. Water biking, architecture tours, art galleries – we were surprised that there was so much to do. Plus, there are some things that are completely unique to Buffalo. Drinking beer that’s made in an old grain silo (and then rock climbing up neighbouring silos)? Spending the night at a former insane asylum? You’ve gotta travel to Buffalo. Trust me, we’ll be back. For Justin’s birthday in the middle of September, we planned a super impromptu trip for four nights to Playa del Carmen, Mexico. We found a cheap flight, discovered a cheap hotel on the beach, and went with the idea of relaxation in mind. Justin and I spent days by the pool, lounging at the beach, and roaming through town. We had no idea that Playa del Carmen was so vegan friendly. We counted at least seven or eight restaurants that were entirely vegan, vegetarian, or had a ton of vegan options. They even had a vegetarian festival happening in town the week after we left. The two of us decided that we should try to line up a trip in 2018 with their vegan festivities. Stay tuned for a full vegan guide to Playa del Carmen! After I had such a blast at TBEX Huntsville, I immediately planned to meet up with some blogging friends at TBEX in Killarney, Ireland. 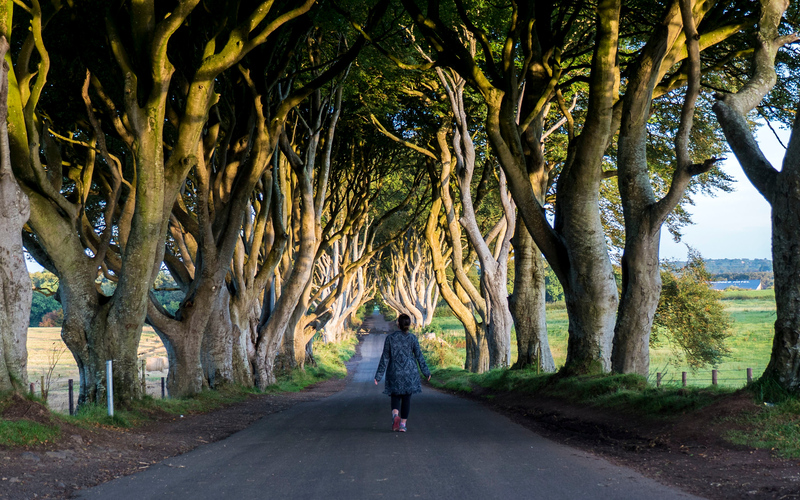 I went there with a fellow travel blogger, Ashley, for a three week road trip around Ireland and Northern Ireland. We made our way around the perimeter of the island, round trip from Dublin. 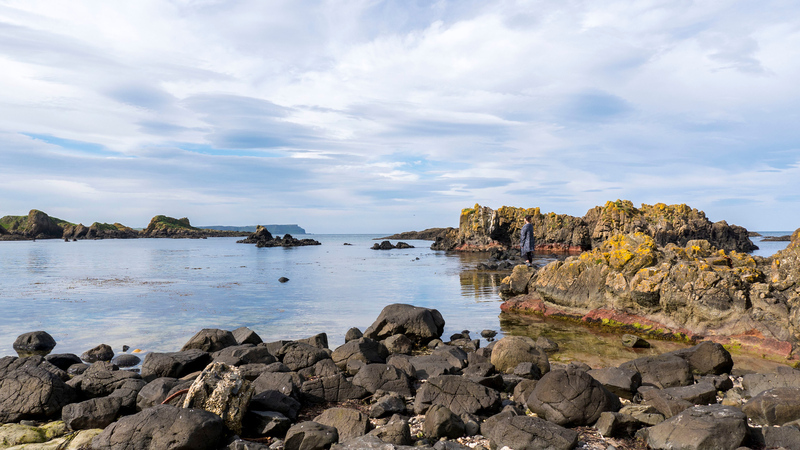 Some of my favourite spots included the Causeway Coastal Route of Northern Ireland, the Dingle Peninsula, and Galway. I fell pretty hard for Galway, deciding that I’d love to even move there someday. The highlight of the TBEX blogging conference was the Weekend Wanderlust meet-up that we planned in Killarney. Hosted at The Shire, a Lord of the Rings themed pub, we had a blast listening to local musicians, partying with travel bloggers, and even meeting a couple of LOTR characters throughout the night. The Shire quickly became my local pub in Killarney. And as for my home, I stayed in a luxury house with Ashley and two other travel blogging buddies, Chris and Heather. In November, my sister and I boarded yet another cruise together. It’s now a running joke between us that we’ll somehow end up on a cruise ship together every year, even without planning it much ahead of time. In 2015, we went on our first cruise to the Caribbean. In 2016, we went on two cruises – one was a Carnival cruise that spontaneously happened when our inaugural Fathom cruise couldn’t sail (we literally booked the cruise an hour before it sailed away). Then, at the end of 2016, we took our Fathom cruise to Dominican Republic to make up for the one we had missed. Now, in 2017, we embarked on a California coastal cruise on the Ruby Princess. A co-worker/friend of mine was getting married on the cruise ship, and I brought my sister, Robyn, as my guest for the wedding (Justin wasn’t able to attend). Robyn and I had never travelled to California before. We took an extra day in Los Angeles, visiting Venice Beach, Santa Monica, and the Griffith Observatory. Then, our cruise stopped in San Francisco, Monterey, San Diego, and Ensenada, Mexico. It was a perfect overview of California that left me wanting to travel back there immediately for a lengthier amount of time. To sum up my travels in 2017, I spent an extended weekend away in Nashville. While I was there, I reconnected with Chris, Heather, Ashley, and Andrew, a friend I met in Huntsville, Alabama. I felt so lucky to have great friends that drove for a few hours to meet up and spend time with me. Nashville is a fascinating place and I feel as though I barely scraped the surface. I checked out street art, coffee shops, and sampled as much vegan food as possible. Spending my first day with Andrew was so much fun. Bowling and having a few drinks at Pinewood Social was a highlight of my trip. I got right into the Christmas spirit, checking out an elaborate Christmas display at the Gaylord Opryland Resort, as well as attending a Christmas festival in Franklin. On my final day in the city, I wandered around and admired gorgeous views, wandered around neighbourhoods, poked my head into little shops, and drank even more coffee. When I was travelling home, I had a layover in New York’s La Guardia airport. Little did I know that Toronto had its first cold snap, which grounded and delayed tons of flights. With other flights cancelled, some people got bumped onto my flight, which was delayed by a couple of hours. When I boarded the plane, I went to my seat… seat 1A. As it turned out, I was upgraded to WestJet’s Plus section right at the front of the plane! I’ve never flown anything beyond economy before, so this was such an exciting surprise. I had tons of leg room, a roomy seat, and complimentary wine. Thank you, WestJet, for the early Christmas present. This blog has never been my full time job, although I think of it as my second full time job. I have freelanced in the television industry for over 10 years, working for a major broadcaster in Canada. Working as a freelancer came with its perks. While I didn’t get paid vacation, benefits, or stability of hours (although I never had to worry about that), I had the freedom to travel when I wanted. I wasn’t limited to a set amount of vacation time. At the end of November, I accepted a full time job with this company. Naturally, my travel life is about to change. There are pros and cons. Obviously, it’s great to have a stable work schedule. I never intended to be a full time traveller or digital nomad on the road. I love living in the Toronto area with Justin and our two cats. After a few weeks of seeing the world, I’m ready to come back home to my own bed and regular life before taking off once again. At the same time, will I be able to travel as much in 2018? I don’t know the answer to that question right now. However, what I do know is that the job comes with three weeks of vacation, which will grow to six weeks over time. I had the option to buy an additional week of vacation through my benefits, which I did. Plus, I’m able to work overtime and holidays to bank hours, which I can also use for vacation. It’s possible that I could still take six or even eight weeks of vacation time to travel. I might not be able to be as spontaneous in my travel decisions, but I’m confident that I can make this work. 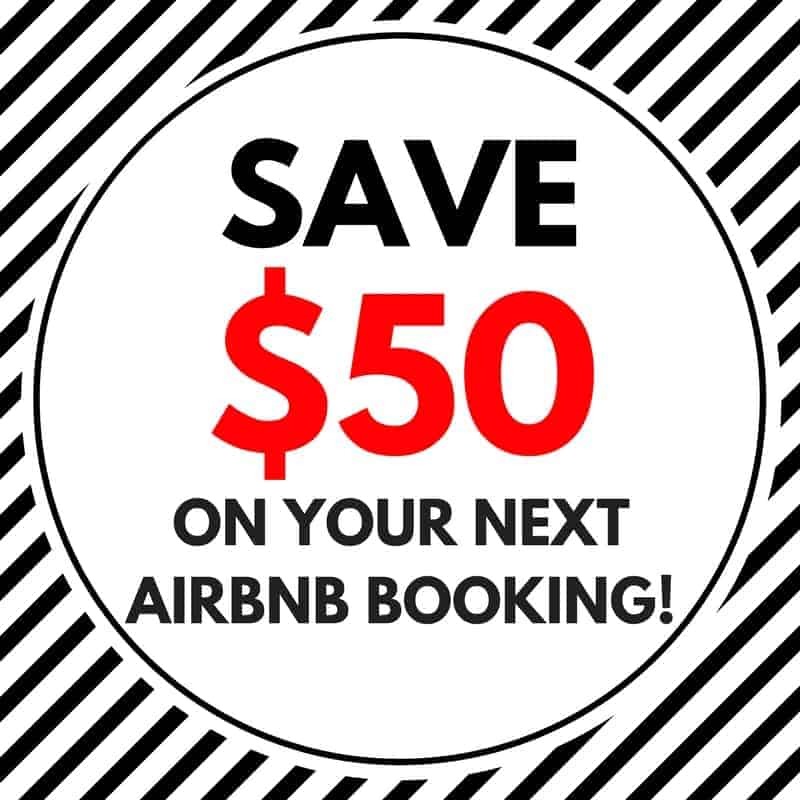 Plus, every other weekend will be a three day weekend, so I intend on making the most of those by checking out cities throughout Canada and the USA. Who knows where we’ll go in 2018? That’s part of the excitement. So far, Justin and I will be trading in this harsh, Canadian winter for the beaches of Mexico in January. Then, we’ll be embarking on the Holistic Holiday at Sea in February. I entered an online contest to win a cruise for two, and I ended up winning out of 22,000 entries! Justin and I will board the MSC Divina for a 10 day cruise around the Caribbean while indulging in delicious vegan food. Where should we go next? I’m throwing a few ideas around. I’d love to travel to Scotland as that’s where my family is from. If Scotland is anything like Ireland, I know I’ll fall in love. I’d also love to return to Ireland and bring Justin with me this time. Travelling to more countries in Europe is also a possibility. I can’t seem to get enough! At the same time, Japan has been on my bucket list for years. I even took a Japanese language class years ago when I aspired to travel there someday. Maybe 2018 could be the year to finally go to Japan. I’m also dreaming about the Galapagos Islands or anywhere featuring animals living in the wilderness. Maybe I should take another volunteer trip helping animals like I did in Kenya. That was one of my favourite experiences ever. 2017 seemed like it went by in a flash. When I look back on it, my travels in 2017 were plentiful and more than I could have ever dreamed. Here’s to 2018 being equally as spectacular as 2017! 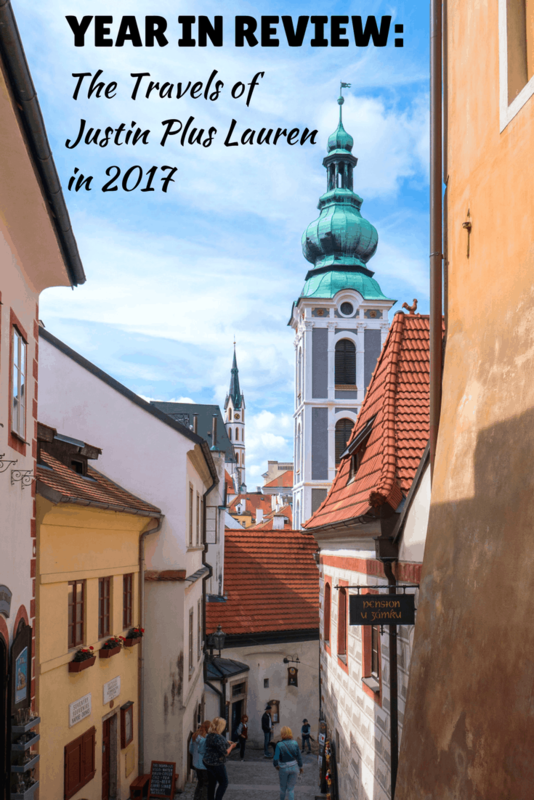 Lauren, your 2017 travels sound amazing. I can’t believe we didn’t meet at TBEX Killarney – although it was hard to catch up with everyone in those few days! I’d love to visit Playa del Carmen, just relaxing on the beach is a great idea. Ch-ch-ch-ch-changes are afoot for 2018… as you sign a permanent contract, I am quitting my job to spend a few years travelling and freelancing. Sometimes life needs a change-up! Bonnes Vacances for 2018! Wow, you had quite the travel year in 2017! Congratulations on the permanent position, it will be great to see how you still maximize vacation time despite the changes to your work schedule. Fingers crossed we can participate at TBEX in 2018. We’d love to experience another meet-up. Happy New Year, looks like you have some great options on deck for 2018! What a year! Congrats on the job, condolences on the loss of travel freedom…although it doesn’t sound too bad. Arranging for a three day weekend every other week is genius! You’ve got us scheming…there must be a way! ;) Great to have finally met in person this year, too. Best wishes for an awesome ’18! Congratulations on a year well traveled. May your new job not slow you down on all your adventures. I’ve loved following your adventures throughout 2017! Here’s hoping our paths cross in 2018! Wow – what a wonderful traveling year you had. Wish you may more fulfilling travels. Your 2017 sounds pretty amazing (and how cool is it that you booked a cruise an HOUR before departure- yes, I realize that was a different year, but still kind of crazy & cool)! 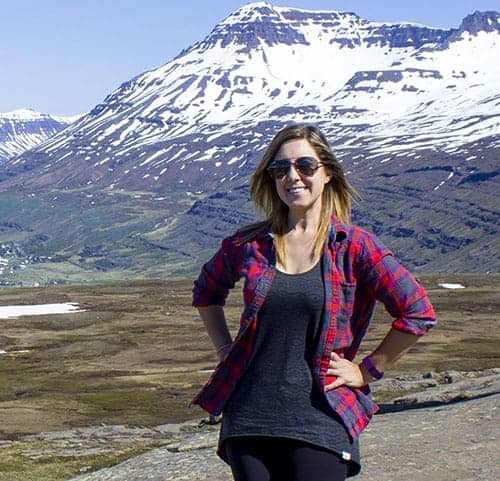 Congratulations on the new position and may you still be able to fulfill your yearly travel goals! WOW! You really had a great traveling year. Some enviable destinations. Reading your blog I realised we covered a lot of same destinations – Huntsville, SFO, London, Ireland, Central Europe etc. Congratulations on winning a cruise trip. Happy New year to both of you! Ha, how cool! We were in so many of the same places. It really is a small world :) Happy New Year to you as well! Congratulations for the wonderful year you had and on your full time job. I don’t think it’ll curtail your hunger to travel more, I know many people who travel a lot despite a full time job. At times we have to take decisions in keeping long run in mind. Arranging for a three day weekend every other week seems to be an awesome idea. wow! I thought we traveled alot! I love how you have such varied destiations – different continents, climates, road trips, long trips, short trips! Good luck with the new job. You will find your new normal in terms of schedule etc! Happy #WeekendWanderlust and happy new year. Hey, that is quite a year travel wise. I explored a bit of British Columbia this year and would love to explore Quebec and Nova Scotia sometime. We share Sri Lanka in 2017 travels this year. Loved a road trip exploring the UNESCO World Heritage Sites of Sri Lanka. Like you say, let’s see what 2018 has in store. Whatever it holds, stay healthy, stay happy and keep travelling. Your travels for 2017 look absolutely fantastic! And having a three day weekend every other weekend in 2018 sounds excellent too – I’m also trying to get my travel fix while working the daily grind from now. Congratulations on winning the cruise, I look forward to reading about it soon. I love the diversity of your travels in 2017. Looks like you had a ball. That picture with the angel wings is awesome! Wheew! You have had a very busy year travelling to many countries in all parts of the globe. Happy New Year ! and best wishes for more travels! Your new career sounds promising that it will offer all the things you’re looking for with a fair amount of time off for more travel. How amazing that you won that cruise? It is going to be amazing. P.S. we’re new vegans (1-6-17) and all of our new heroes will be on that cruise!! Rip, Dr.’s T. Colin Campbell, Barnard, and Greger. I think this cruise is going on our 2019 bucket list. I know, right? I hope I don’t come across as a crazy stalker of everyone! I think I’m going to be a bit starstruck! :) I’ll be writing all about it when I get back. Thank you so much for the huge compliment! Thank you :) I can’t wait to go on the cruise, too. It’s going to be epic!! Sounds like quite the incredible 2017! What a great way to have kicked off the year in Quebec City, I would love to have a white Christmas / new years one year! I’ve loved following your adventures through Canada and Sri Lanka. And sounds like you got some epic road trips in too! Congrats on landing a full time job! Ultimately, there’s no right or wrong way to travel, and we too have recently settled into a permanent base. It’s great that you can purchase time off if you want to take extra trips – we have a similar set up in Australia with the public serice, you can take a hit on your salary a little for up to 8 weeks time off. Can’t wait to see what 2018 has in store for you! Wow, you’ve explored quite a bit of Canada in 2017! Quebec looks like a winter wonderland with all the snow! You have had an amazing voyage of discovery in 2017. The places and experiences that you had in the year must now dwell as pleasant memories. I am sure that you will scale new heights and explore new frontiers in 2018. Will be surely following your amazing journies. 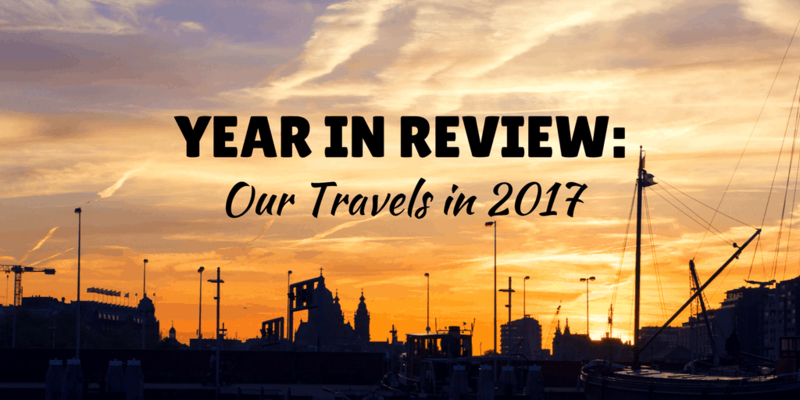 So glad to see that you had an awesome globetrotting 2017! You’ve been able to visit a new city almost every month and I think that’s amazing. Here’s wishing you an even better 2018 ahead. Cheers. Woo!! That for sure was an amazing year for you with lots of travel. I loved the way you have put up this post and great pictures too. Even we had 5 or 10 at the beginning and now look it has improved drastically. Anyways wish you more travels in 2018. Looks like you had a pretty fantastic year! I love how diverse all of your trips are, cold places, warm places, east, west, roadtrips, and more. I unfortunately was only able to travel two months out of the year in 2017, but definitely looking to amp up my travel game in 2018.